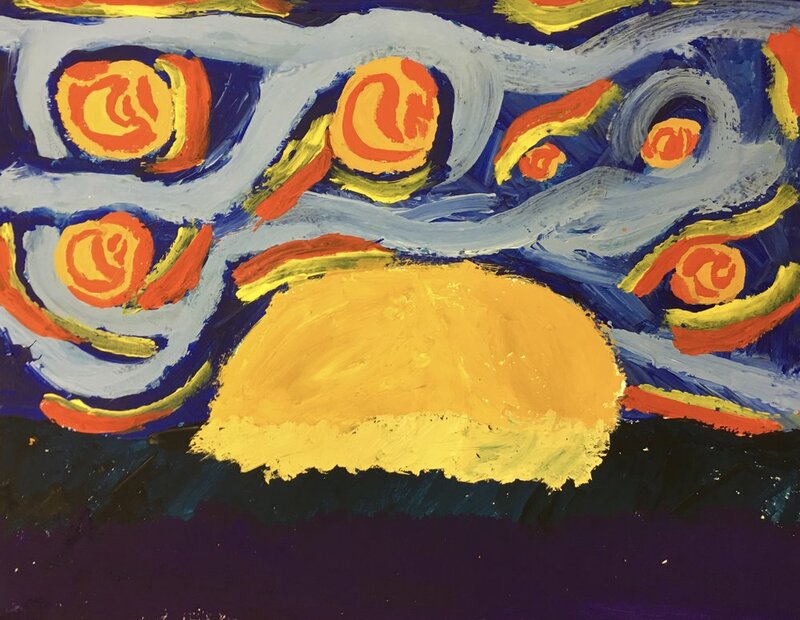 In my 9-12 year olds art class, we learned about Vincent van Gogh and two of his most famous paintings, Sunflowers and Starry Night. 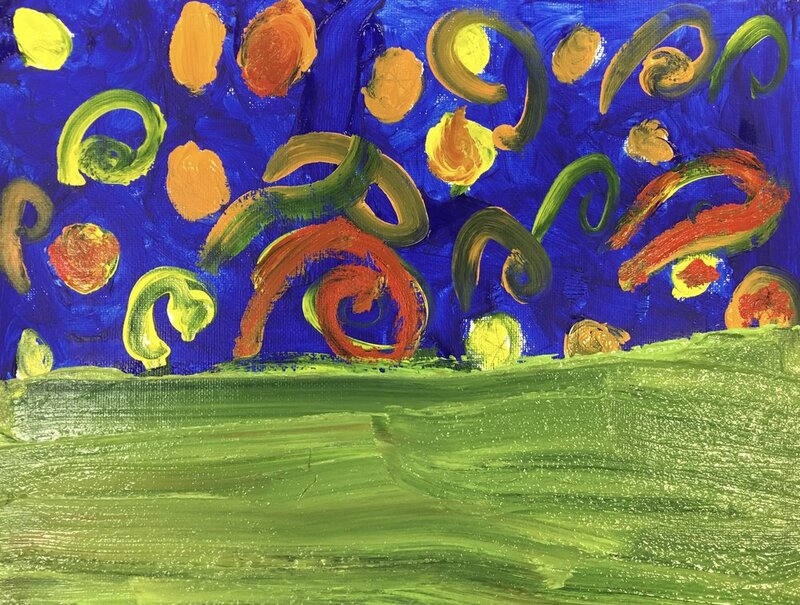 Then the young artists painted their own interpretation of these paintings, using heavy paint and obvious brushstrokes, just like Vincent did. I love all their interpretations!